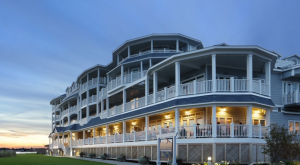 Join Jon Pousette-Dart outside at the Madison Beach Hotel in Madison, CT on July 3rd, 2019 for an intimate summer event! Join us for an evening at the hotel from 7:30PM to 9:00PM. While you dine, Jon Pousette-Dart will entertain you with stories and songs from his repertoire! This event is FREE!